Corner clamps (also known as mitre clamps, angle clamps and various other variations on a theme) are really useful where you have a large structure that is difficult to keep square while under construction. I built these clamps to help with some sash window frames I was building. 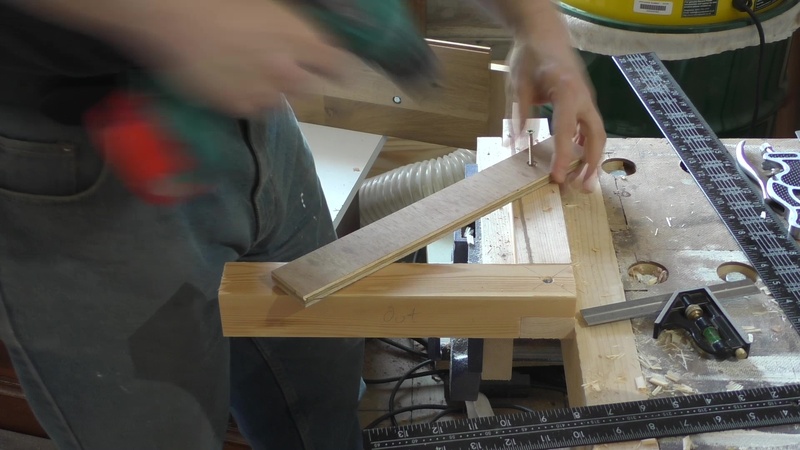 You can buy corner clamps of varying quality from most good woodworking tool suppliers but if you have a mitre saw and a couple of short lengths of timber you can make something equally as good for basically nothing. The total cost of the pair of clamps I made was probably less than a pound. 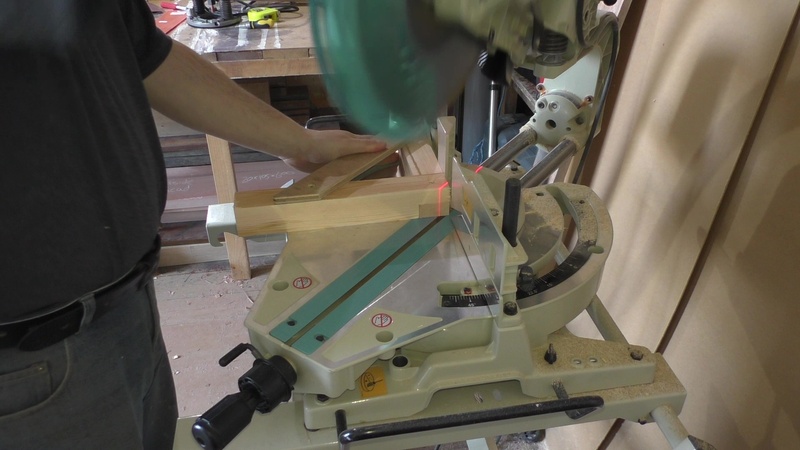 Start by cutting a couple of lengths of 50×50 PAR timber to form the arms of the clamps. It really doesn’t matter how long they are but a little under 300mm is a good workable length. 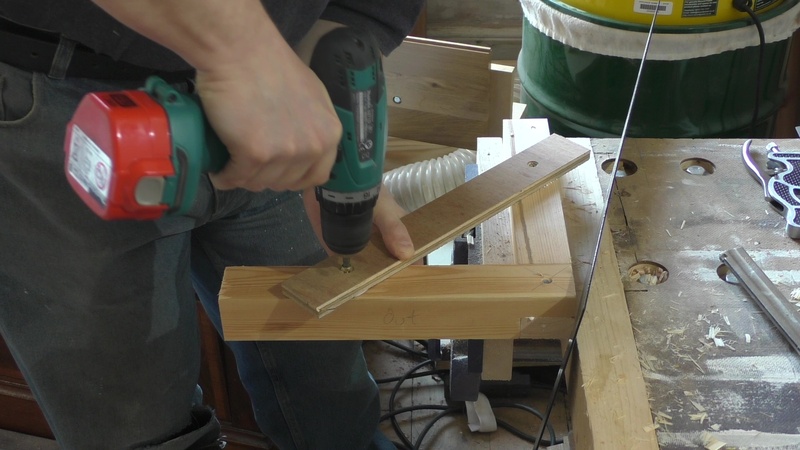 Many things are built in multiples of 300mm so making the clamps a little less than this means they will always fit. Use a straight edge to find the flattest face and mark it so you know which it is. This face will point out in the final construction. Find the best matching face on the other piece of timber. 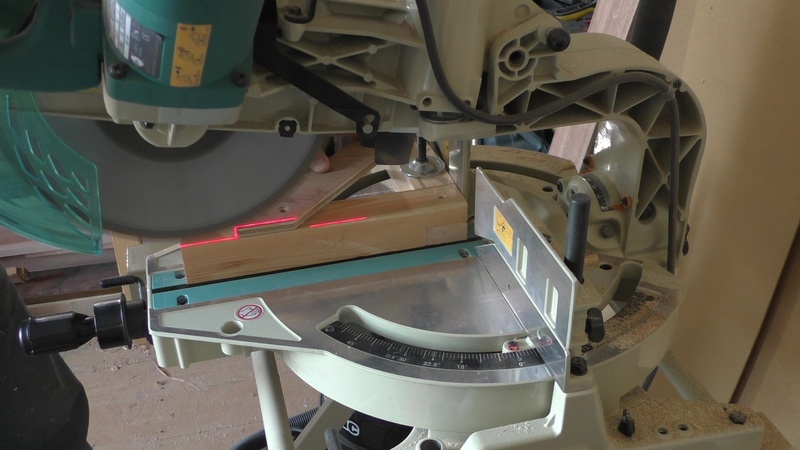 Use the mitre saw to trench cut the pieces to start forming a half lap joint. 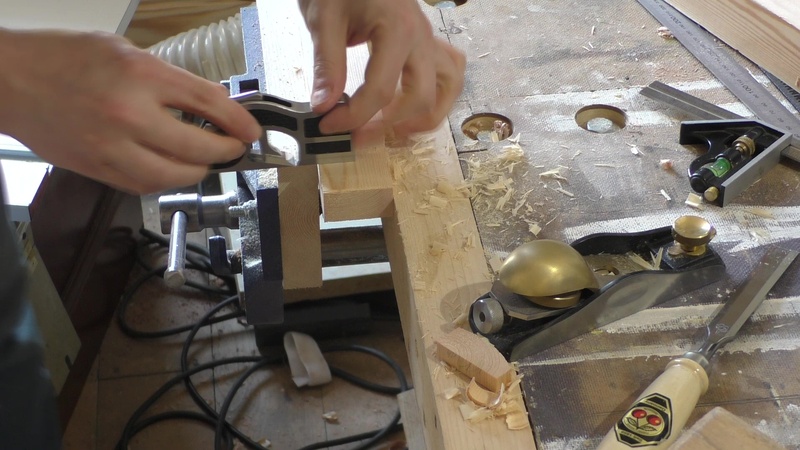 Break out the waste with a chisel and then clean up with a plane or chisel. You aren’t aiming for perfection just a reasonably flat surface for glue. 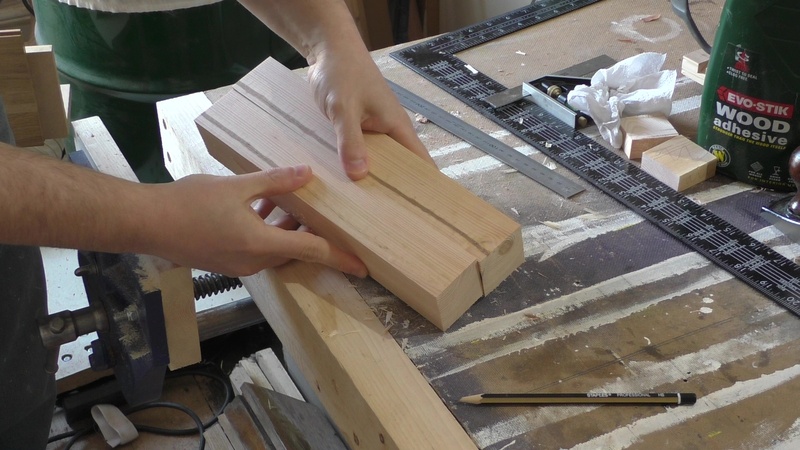 Repeat on the other piece and then use your speed square to mark the centre of the joint. Put the joint together and drill straight through. Countersink and screw together. Check that the clamps can be made square. If not adjust the shoulders of the joint slightly. 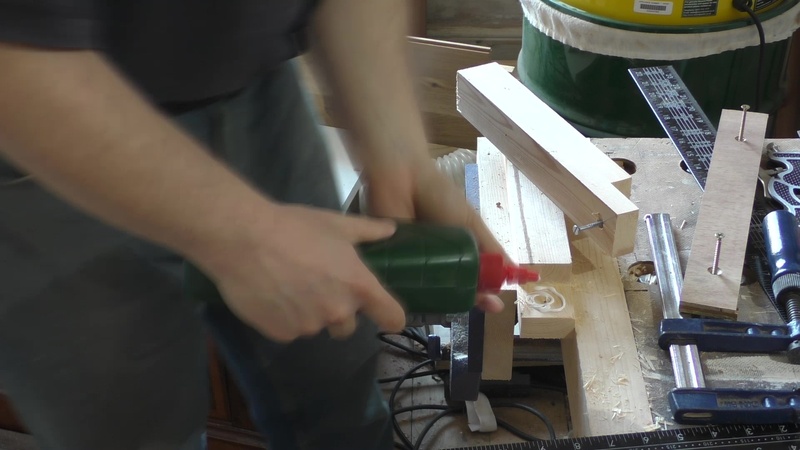 Carefully cut a piece of 12mm plywood for the brace. This can be done on the mitre saw with care. 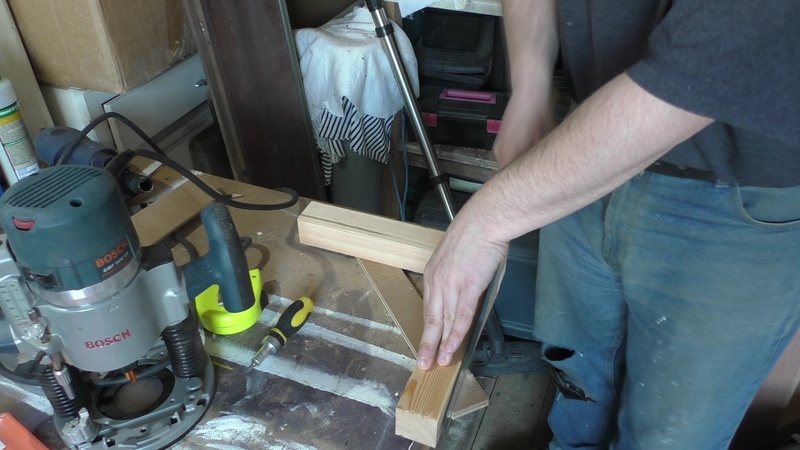 Screw one end of the brace to the clamp body and then adjust the clamp body for squareness. When you are happy the body of the clamp is square clamp down the brace and drill through into the body then screw it into place. Take the clamp apart and apply a liberal coating of glue to all the parts. No need for fancy glue for this as it’s only going to be kicking around the workshop. Screw everything back together and clean up any glue squeeze out. The brace will be over hanging the edge of the clamp so cut it off flush with the edge. At this point the clamps are good enough to be used but they are probably a tiny bit out of square. If you want to add that final finishing touch of quality it’s time to go back to the mitre saw. 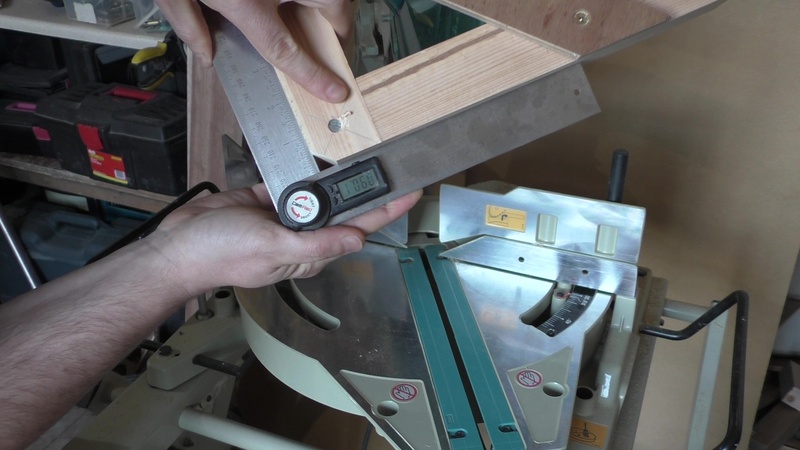 Place your flattest edge against the mitre saw fence and trim a couple of millimetres off the perpendicular face of the corner clamp. You should aim to make this trim cut as small as possible. Now flip the corner clamp around and put the just cut face against the fence and trim again. Take care when making this cut as the piece isn’t as stable as it could be. Adding some plywood shims might have helped. 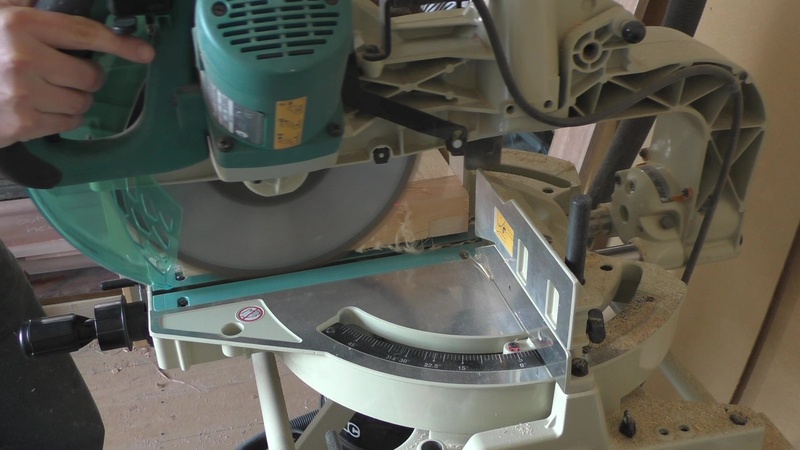 Finally adjust the mitre saw to 45 degrees and cut the corner off the corner clamp. This stops it from interfering with the piece being held or worse accidentally getting glued into place. 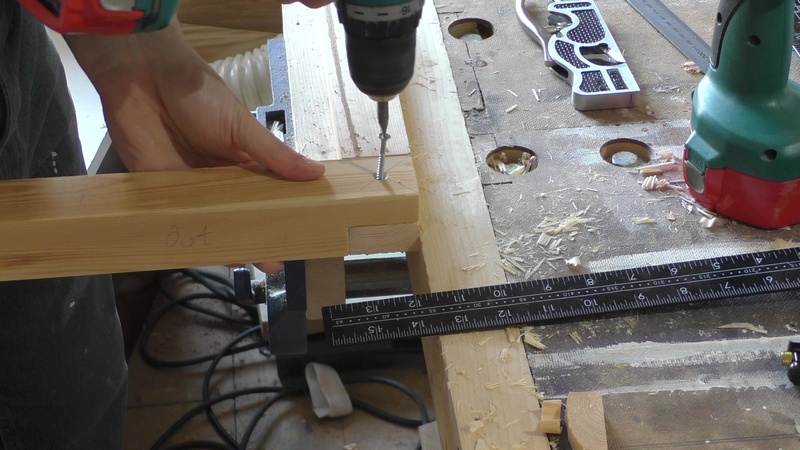 I checked the corner clamps with a variable angle measurer and found them to be between 90 and 90.1 degrees.